The gorse was dense and packed with brambles that caught and cut. 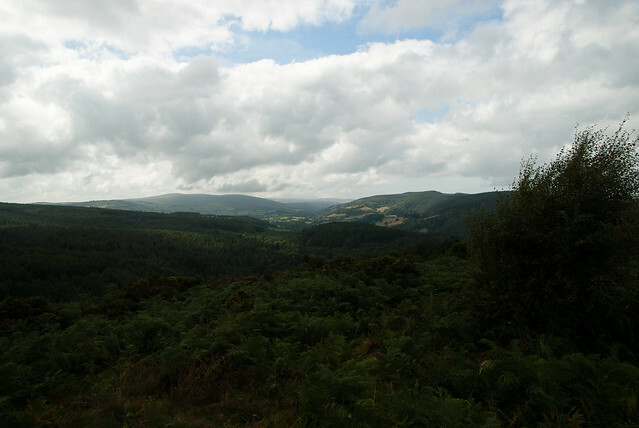 There was patchwork-pretty countryside all around us, neatly divided by hedges and dotted with sheep and thatch roofs, but this hilltop was primeval with purple heather and shaggy ferns. I pulled a thorn out of my thumb and kept pushing through the scrub, looking for a particular low, shrubby plant with a small, blue-black berry. A real discovery it was of an indubitable Camp, with its line of outer earthworks as perfect, gateway and all, as when it was first piled–and it is to be found in no book or antiquarian memoir in all the three kingdoms. There it stood, a circular crown on the brow of a lonely conical hill, washed on three sides by the wanderings of the Barle, out of bow-shot from all the neighbouring heights, within reach of abundance of water and provisions, for three valleys trended from it in a triple direction, commanding a wide and glorious view of peak and ravine, centrally placed in the very heart of the Forest. And thick along the ditch of Bat’s Castle is a plant locally called the Whortleberry, more commonly known as the bilberry, and that was our target. 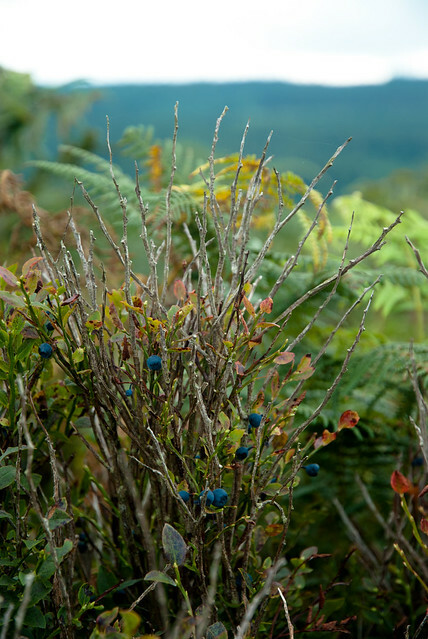 Not quite a blueberry–tiny and incredibly pesky to pick, the bilberry is rarely cultivated. It took the two of us about an hour to pick just over a pound of whortleberries, munching on a few stray wild raspberries and just-ripe blackberries along the way. 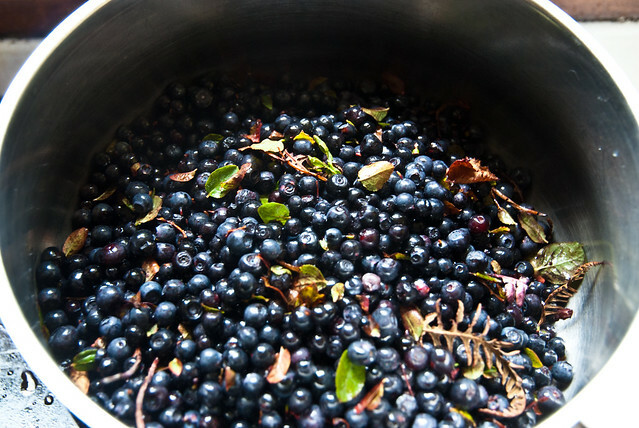 It dyed our hands dark purple–the bilberry is also used as a traditional dye for wool. We carefully cleaned the berries, then added the juice of a lemon and a pound of sugar and brought the berries to a boil. 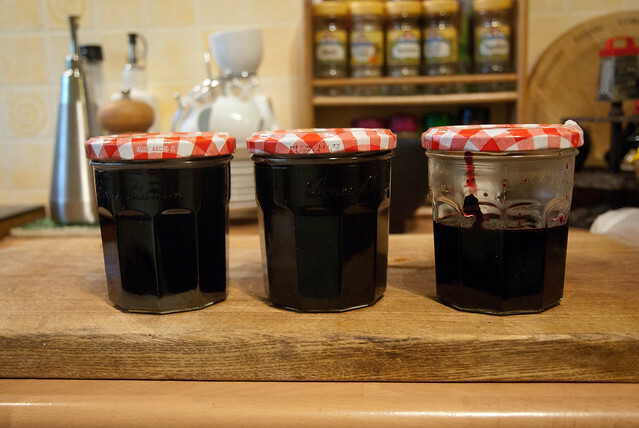 Dan sterilized a few jars and we bottled up the Whortleberry Jam. It made about 2.5 jars and it’s my favorite jam in the world–similar to blueberry jam, but less sweet and more delicate. We ate the half-jar over the last week but will hide away the other two jars for an after-Christmas welcome-home-from-Qatar treat. My favourite hillfort is Hollingbury, above Brighton (looking down over Sussex University). This is partly because I have fond memories of it, but also because its layout is frustratingly hard to fully perceive. 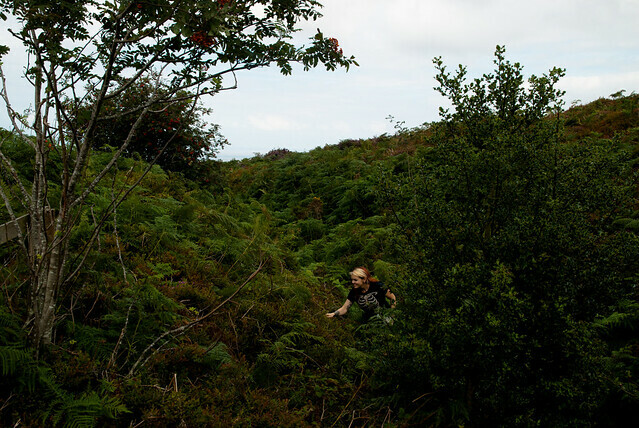 I could have used a long afternoon there watching how the light changed it, and also a strimmer and secateurs to clear some of the scrub that now fills the camp… No, there are no ramparts worth the name, but once you’ve climbed up to it, there’s no mistaking its defensibility!